Kardinia Park is a vibrant hub for local and regional sports and events. With so many clubs and associations, players and umpires, friends, families and dogs… the Park is definitely well used and loved by the locals of Geelong. Here at the Trust, we believe in building community partnerships that are beneficial for all, continuously cultivating and fostering our relationships within the community of regional Geelong. In a new regular article series, we will be showcasing Kardinia Park’s Precinct Partners and all the great work they do. 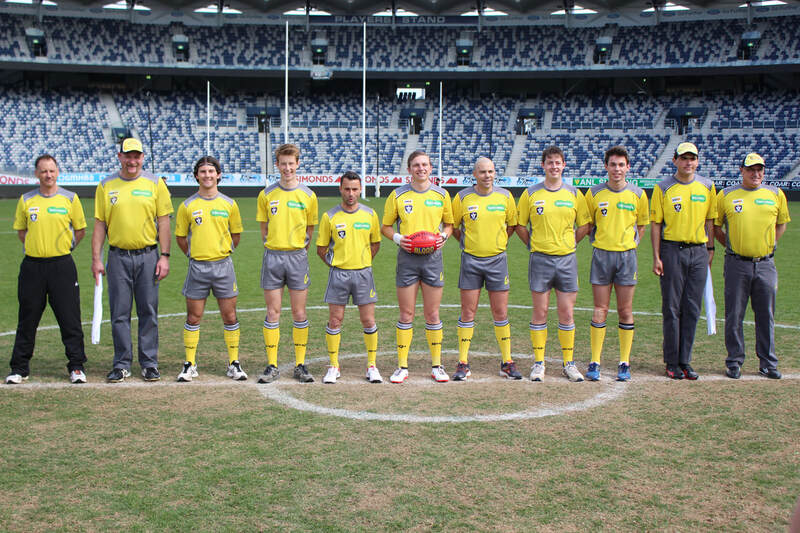 The first profile to be featured is the Geelong Football Umpires League. Founded in 1935, the Geelong Football Umpires League (GFUL) is now one of the largest and most progressive umpiring groups in Australia, second only to the AFL. They umpire football matches for clubs in the GFL, BFL and GDFL, including women’s & junior competitions and have 330 members ranging from 14 – 83 years of age. In 1960, the GFUL built its own Clubrooms, the first umpiring body in the State to do so, here at Kardinia Park. In 2011 the Geelong Umpires facilities went through a $1 Million upgrade and extension which now is one of the benchmark facility for coaching and administrative purposes. By completing this upgrade, they are now able to create a greater community use for the Geelong Region to enjoy. We asked them a few questions to get to know the club and their members a little better. Do you have any longtime members/quirky characters in your league? Everyone knows John Vilanti. Commonly known as Super Mario John is a well-loved member of the club due to his laid back nature and his love of Collingwood and Melbourne Storm. His wife, Maryann, and their family are also much loved members. One of our biggest characters is David Chaston. David’s quick wit & his eternal support of the Western Bulldogs is well known to all. David is also a leader within the club, and has been selected as a senior field umpire in a grand final on more than 10 occasions. Kevin McMaster has been a member of Geelong Umpires for over 50 years. Always willing to help out when asked. Kevin’s son Damian, who is still umpiring, served on our Board of Management for just under 20 years. What major celebration or special events do you run? Each year we officiate in the Encompass Cup for a senior match in the GDFL. The umpires selected in this match have self-identified with a disability and the match highlights how people in the community who have a disability can still participate in sport. Each year we officiate in the Bethany Cup, a senior match between Torquay and Geelong Amateurs, which aims to generate a community discussion around domestic violence. Most umpires who officiate in this match are female. GFL Grand Final day is a big day in our rooms as many umpires attend the grand final (which is played on GMHBA stadium) as spectators and then make their way back to our rooms. As a sport, umpiring allows people of many different demographics to participate. We have had many, many occasions where family members have officiated in the same game (father/son, father/daughter, brother/sister, mother/son, grandfather/grandson). Our youngest member is 14 years of age, and our oldest still officiating umpire is 83 years of age. 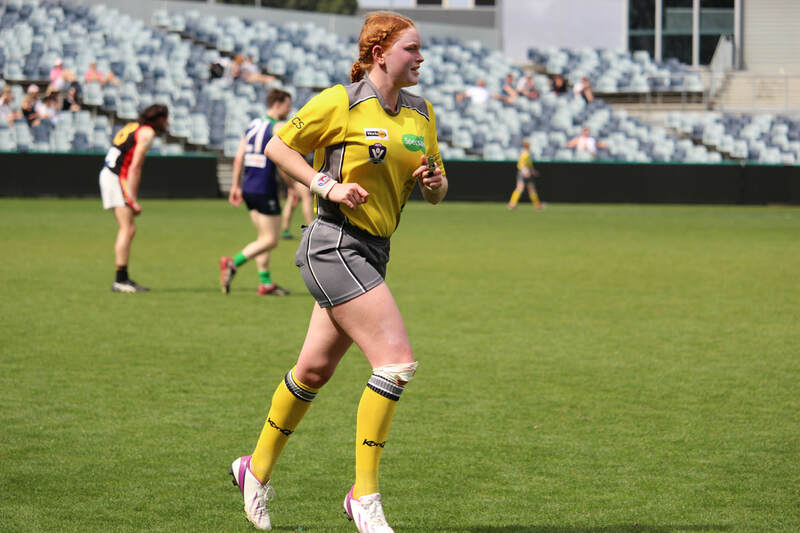 We have one of the highest percentage of female umpire participation in country Victoria. A challenge for our association currently is being able to find enough umpires to match the growth in women’s football. Although many women and girls are taking up football as a sport there isn’t a similar uptake in females taking up umpiring. Brett Allen, AFL Hall of Fame member and 7 time AFL grand final umpire, is from Geelong Umpires. Other Geelong Umpires members currently officiating in the AFL include field umpires Shaun Ryan (No. 25) and David Harris (No. 24), and goal umpires Steve Williams and Adam Wojcik. In 2019 we will celebrate a 40 year sponsorship partnership with Ford Credit Cooperative Society (FCCS). If you are interested in becoming an umpire, you can contact Geelong Umpires through their website.